Graceful style and details, from the pad feet up to the solid table top, form the Tuscany Console Table from Hanamint. 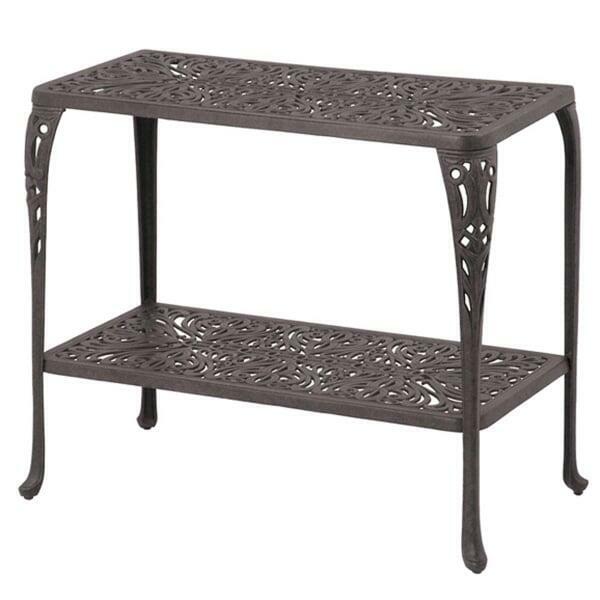 Outdoor console tables are great patio accessories, adding another space to store plants, magazines or other items, and another table top to offer food and drinks to party guests. Hanamint offers this table as the perfect match to their outdoor Tuscany Collection, with matching designs and finishes for a seamless outdoor set. And each piece is covered with a five-stage powder coating that will last for decades, even if forgotten outside year-round.